Most economists would likely agree that technological progress is central to the efficient use of a nonrenewable resource over the long term. Yet advances in petroluem recovery technologies since the mid-1970s suggest that technological progress may also be important over a time span as short as two decades. 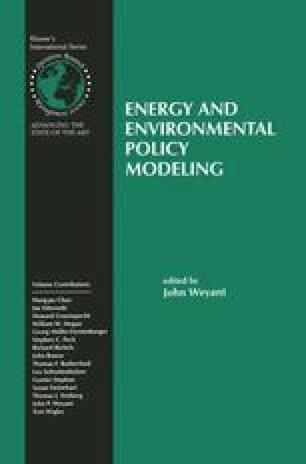 This paper examines the consequences of underestimating technological advances in recovering natural gas for the Canadian province of British Columbia using a computational model maximizing conventionally-defined social welfare. Mistakes in allocating gas over time due to understimating yield relatively small welfare losses, a result that likely generalizes to other resources. Financial support for this work has been provided by the Social Sciences and Humanities Research Council of Canada. The approach of this paper has been inspired by the work of Alan Manne and I thank Alan for his advice in developing the original model on which the computational model of this paper is based. All opinions and any errors are my responsibility alone.